Only Detroit residents and a very few visitors who greatly esteem beautiful architecture visit this building in a rather remote area of Detroit. Your journey here will be rewarded since this is one of many spectacular buildings in the city, albeit a modest one, that has not yet been added to any historical registry. In 1910, an inagaural meeting was held in Detroit of a group that called themselves the National Association of Cement Users. Concrete, I believe, consists of a course aggregate—typically gravel— and a fine aggregate—typically sand—and a binding substance. This may be water or some other liquid. Once the concrete hardens, you have cement. However, I think that many people use concrete and cement to mean the same hard substance in common parlance. In 1914, the National Association of Cement Users changed their name to the American Concrete Institute and clearly stated their aims: "… a technical and educational society dedicated to improving the design, construction, maintenance and repair of concrete structures." Over the decades the membership of in the American Concrete Institute (ACI) increased, as did their activities, including efforts in both World Wars to build ships of cement for the U. S. Navy. In the late 1950s, the ACI asked Minoru Yamasaki to design a beautiful building to serve as their headquarters. The picture above shows the tremendous structure that Yamasaki created far to the west on Seven Mile Road. As you look at this magnificent building, you get the impression of light. Very few cement-supporting beams keep the structure together or the attractive roof above. You also get the sense that the most offices in this extraordinarily appealing building were well lit by the sun on the occasions when it shown in Detroit. It would be great to have an office in this building. I am speaking as a University of Michigan professor who spent four years in an office with no window before moving into an office with a suicide proof window—that is a small slit that admits some light on a few days each month. In 1996, the ACI left Detroit for a new headquarters building at 38800 Country Club Drive in Farmington Hills. By that time their membership had soared to 16,000 in 115 active chapters. Subsequently, this architecturally significant, if almost always overlooked building, was occupied by the Starr Commonwealth. Fred Starr grew up in Albion late in the Nineteenth Century and attended college there. Early in his career, he became interested in improving the lot of troubled and orphaned young men. He had been briefly employed at Beulah Homes for Boys. In 1913, he purchased a farm near Albion where he could provide a home and training for troubled young men. He then devoted his life to the creation and development of the Starr Commonwealth, an organization that provided assistance to troubled young men. He successfully raised funds for a rather large organization that now had facilities in Albion, Battle Creek and Detroit, Michigan and in Van Wert, Ohio. 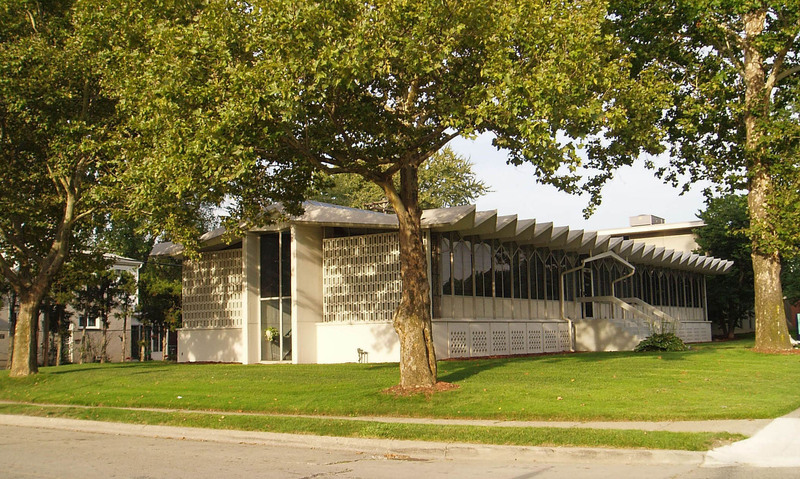 The Starr Commonwealth used this Yamasaki Building to provide services to challenged and troubled youth living on the west side of the Motor City.